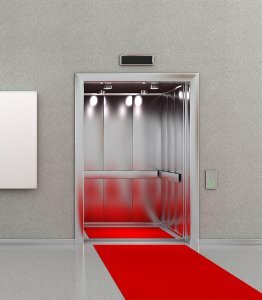 Are you in the market for an elevator for your building? If so, there are plenty of new elevators from which to choose. From luxury elevators that are perfect for hotels to more economical choices for commercial properties and apartment buildings, you can find new elevators near Salt Lake City for just about any kind of building. Check out some of the things you should keep in mind when shopping for elevators. If you have a preexisting elevator shaft, you may not be able to purchase whichever size elevator you want. But if you are building a new property or adding an elevator shaft to your current building, new elevators come in all different sizes. You should think about how many people will use your building’s elevator on a regular basis as well as what types of items they will be bringing on to the elevator with them. You want to make sure you choose an elevator that is functional when it comes to your specific needs. When you are looking at new elevators, you should try and pick out the ones that will look the best once they are installed in your building. You wouldn’t want to install an elevator that is designed for carrying freight into the lobby of a fancy hotel, and you also wouldn’t want to pay more money than you have to for a luxury elevator that is going to be installed in a building where luxury is not important. Carefully select an elevator that will blend into the style of your building. While price shouldn’t be the only factor you consider when installing an elevator, it is very important to come up with a budget and stick to it. In addition to finding an elevator that fits within your budget, you should also consider the cost of doing elevator maintenance in the future. Ask your elevator company how much maintenance you should expect to do to your elevator before you have it installed in your building. It will allow you to prepare to maintain it properly moving forward.